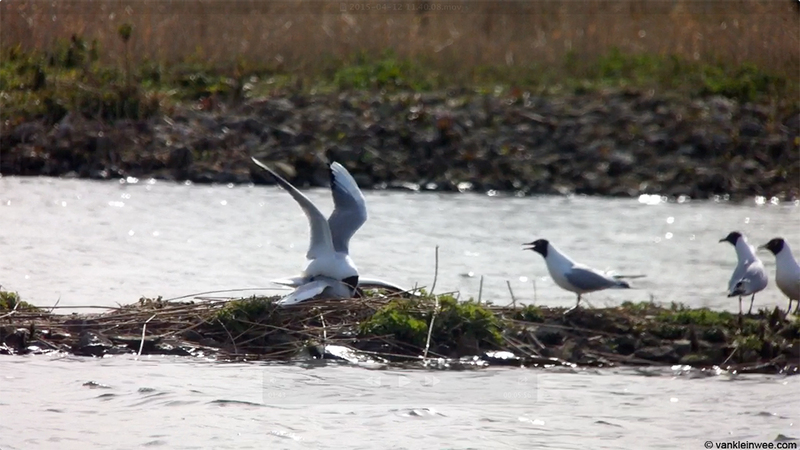 While observing adult Black-headed Gulls in a breeding colony recently, I witnessed yet another fierce fight between (presumably) 2 males. While disputes are common in a breeding colony, such fierce fights are still very rare in my experience. This is my sixth season of observing this colony but it is only the third time that I have witnessed such a fight. It lasted some 10 to 15 minutes (almost continuously) of which I was able to video some 6 minutes. 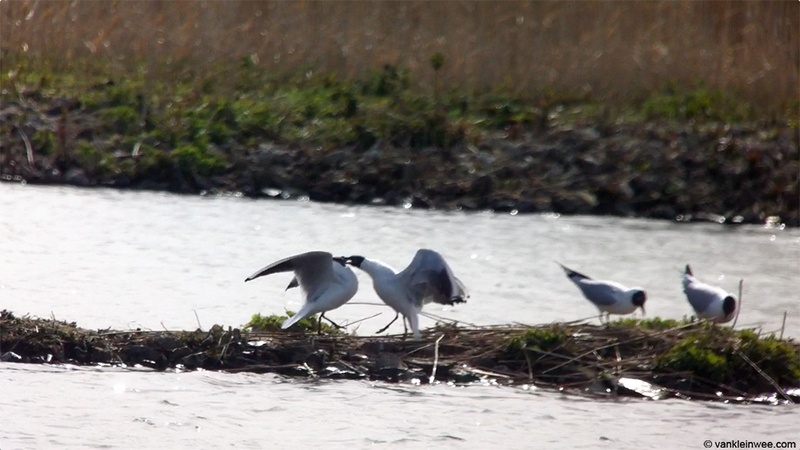 One of the gulls very much had the upper hand and had its opponent pinned down for several minutes. Interestingly, as soon as the gull on the receiving end managed to free itself, it did not flee but stood its ground and continued fighting even though you could see it getting more tired as the fight went on. 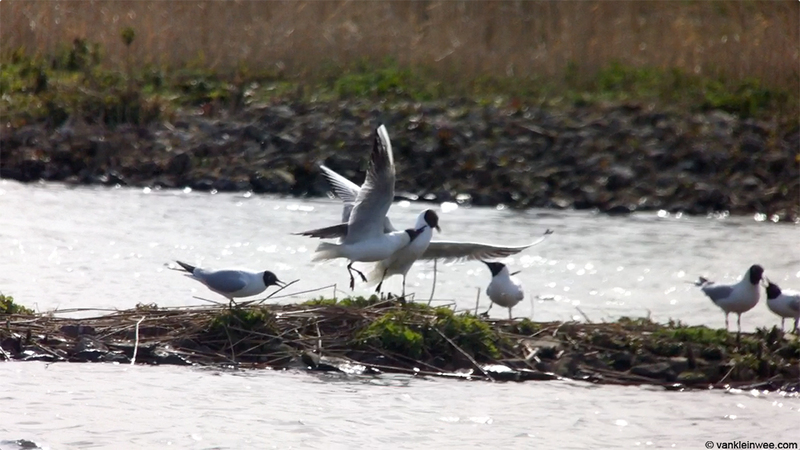 The video was taken at the Black-headed Gull colony of Zoetermeer, the Netherlands on 12 April 2015. For videos of the other two occasions (from 2013 and 2012), see this blog post. Yeah, it’s strange. Gull fights are typically just scuffles and squabbles that last for a minute or two at most, but occasionally they do get quite nasty. 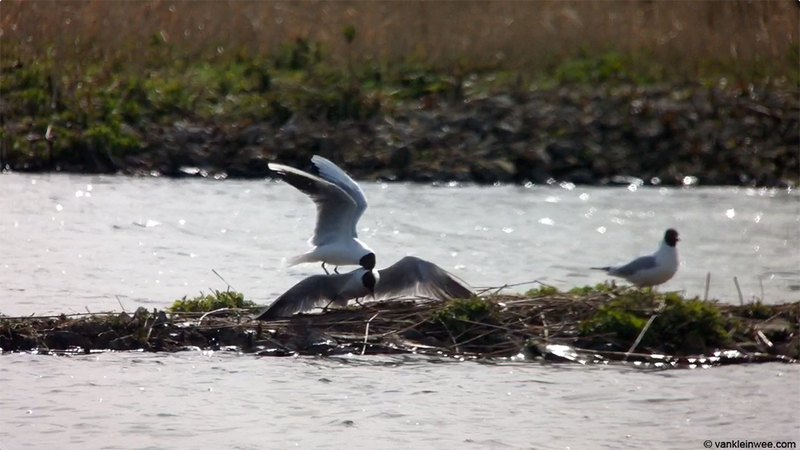 I don’t know if the smaller gulls are really strong enough to do much lasting damage to each other though. Check this one out. No exaggeration here, this would’ve been a fight to the death if the cameraman hadn’t broken it up.